Should the names of police officers always be kept a secret? The Virginia Senate says yes. Senate Bill 552 would keep the names of law enforcement officers and fire marshals secret, even during the event of an officer-involved shooting. To get around the state's disclosure law, those names would be classified as "personnel records," which would make them exempt. The bill passed with a 25-15 vote. Sen. John Cosgrove, the sponsor of the bill, says it's meant to protect officers from becoming targets. He said: "The culture is not one of respect for law enforcement anymore. It's really, 'How, how can we get these guys? What can we do?' ... Police officers are much more in jeopardy. There's no nefarious intent behind the bill." The bill is apparently a response to a court ruling that forced the state to release the names of current and former law enforcement officers for a newspaper story. But opponents call it "an extreme reaction" to a scenario that doesn't happen often. Backlash to the bill has been pretty swift. Virginia's American Civil Liberties Union said police being attacked by people using public records is rare, adding: "To say every officer's name ought to be confidential is just a step too far in government secrecy. We are dangerously close to a police state in some respects." A bill like the one in Virginia doesn't pop up often, but it's definitely not the only state trying to shield officer identities. A proposal in Oregon would allow police to keep a name secret for about three months if a judge rules there's an actual and credible threat to the officer. The move comes in response to an officer who claims he received death threats after shooting and killing a member of the Oregon militia. 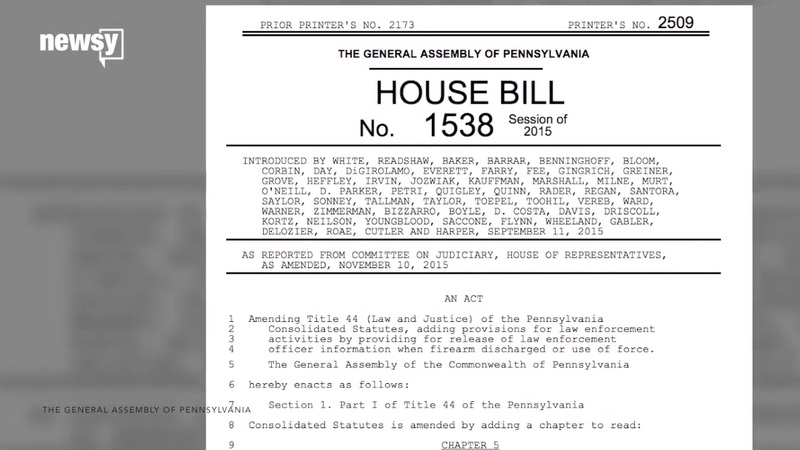 A bill that passed the House in Pennsylvania would go a bit further and would keep the name of any officer involved in a use-of-force investigation a secret unless that officer is actually charged with the crime. All of these bills come at a time when protests of police brutality and officer-involved shootings are prompting more police transparency rather than less. The Virginia bill is now in the hands of the House.